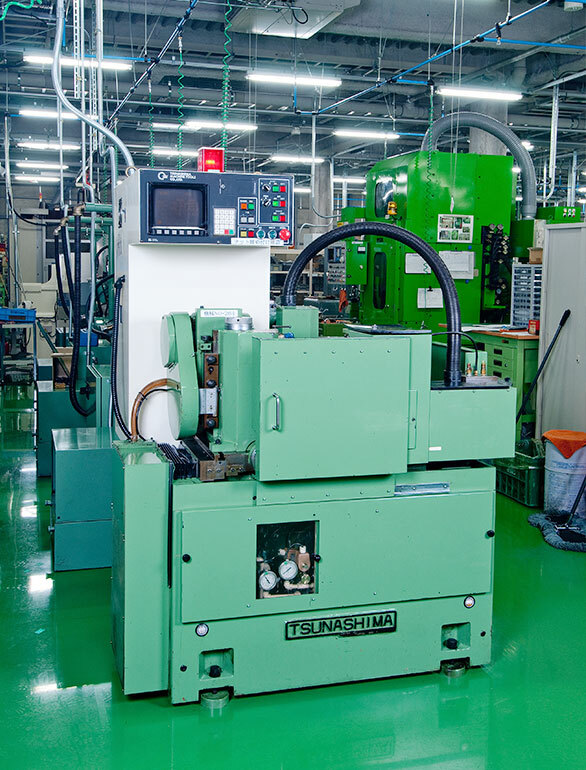 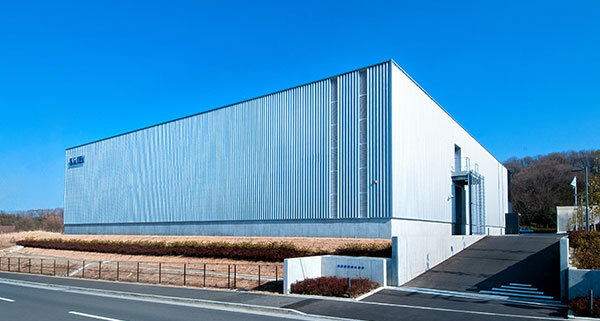 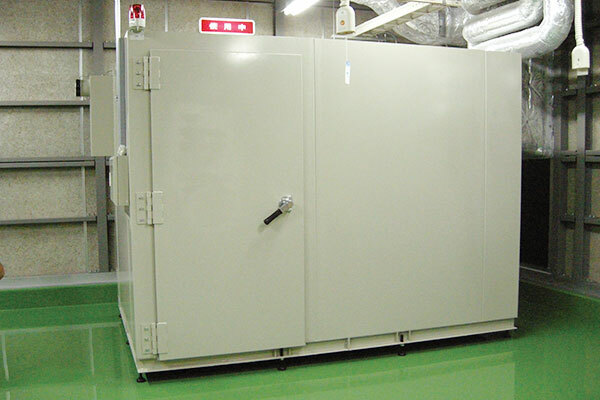 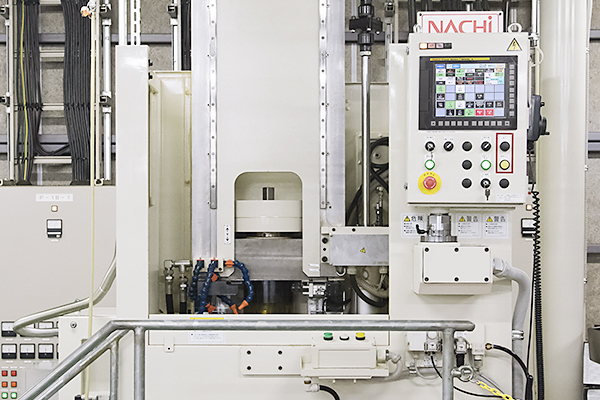 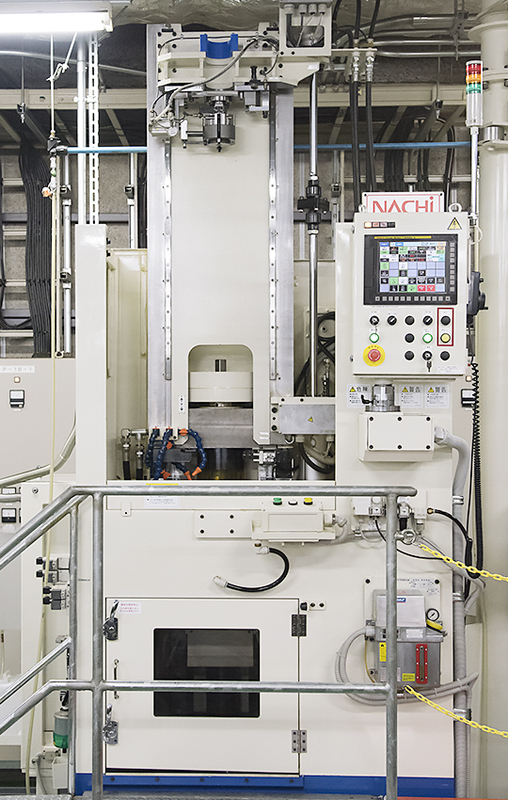 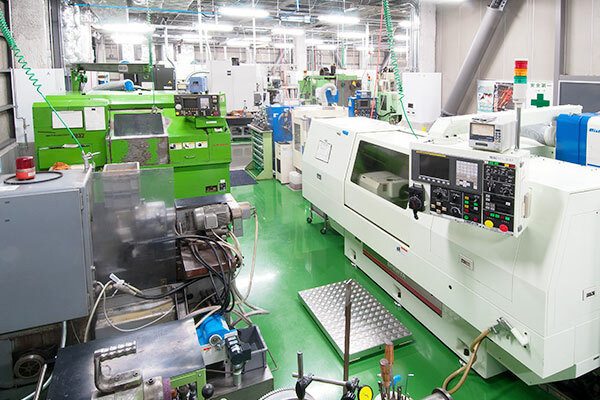 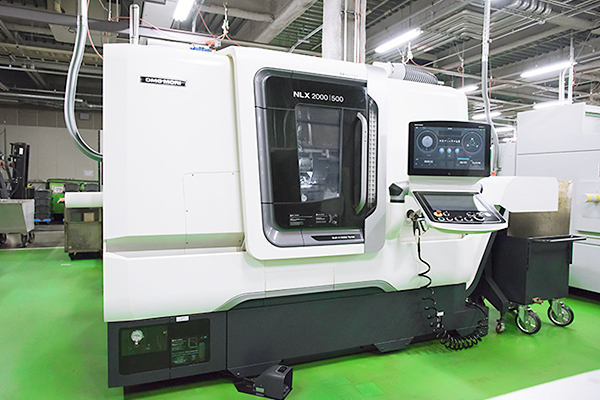 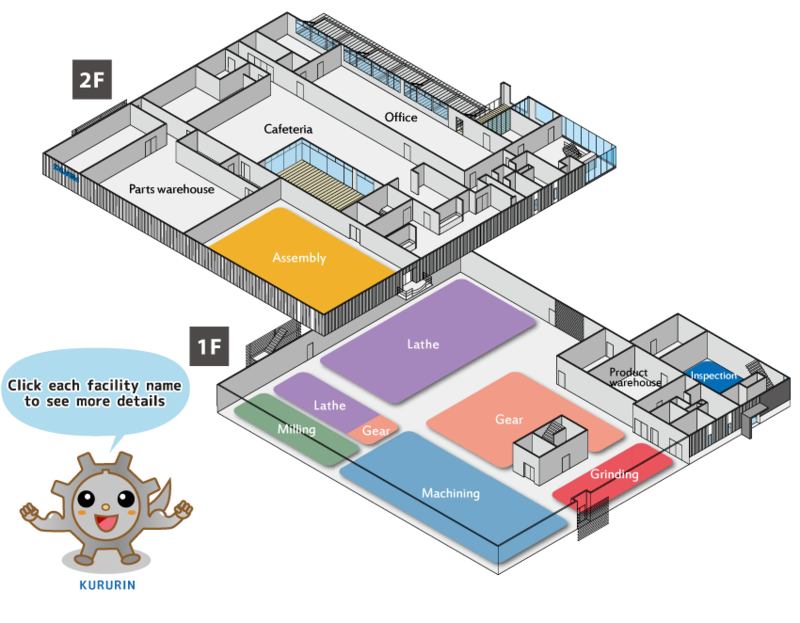 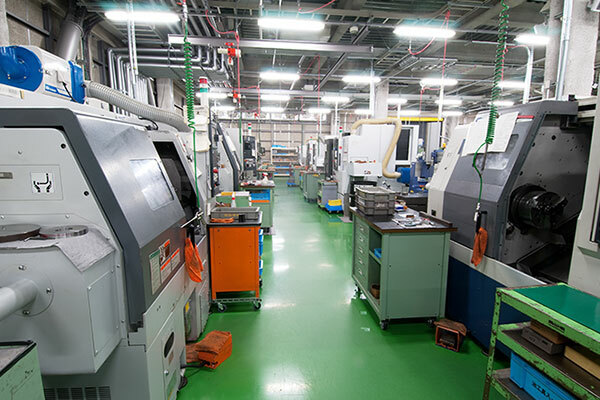 Factory Facilities | Sakanishi Seiki Co., Ltd.
We developed an optimized layout for creating products with value. 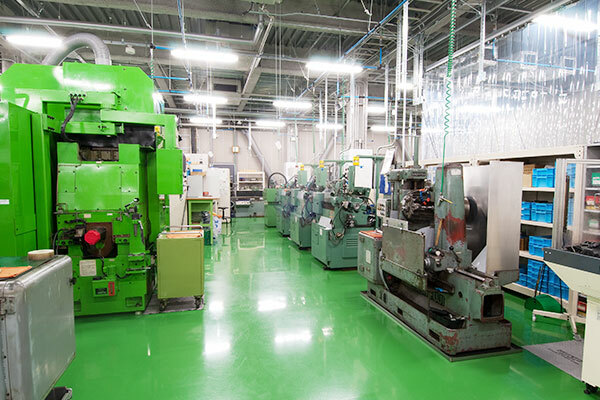 We also strive to make our factories environmentally-friendly for co-existence and co-prosperity with our local communities. 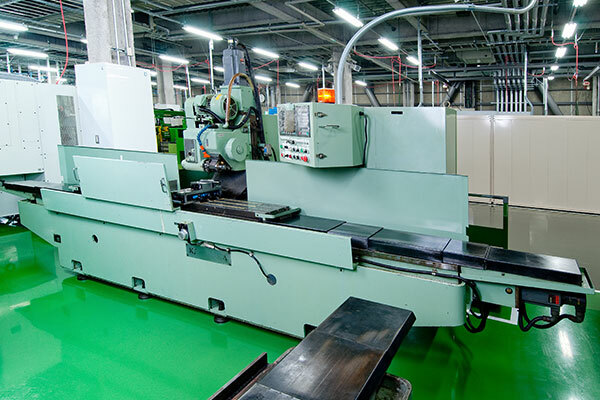 The lathe section is the location of machine tools called lathes that rotate the workpiece and cut using a cutting tool that remains stationary on the machine tool. 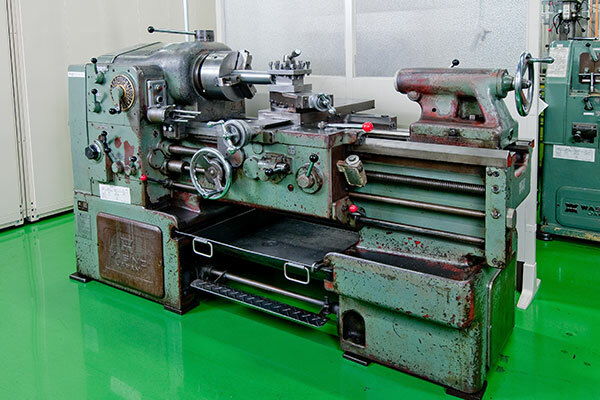 It is primarily used for operations called turning, boring, drilling, threading, and parting. 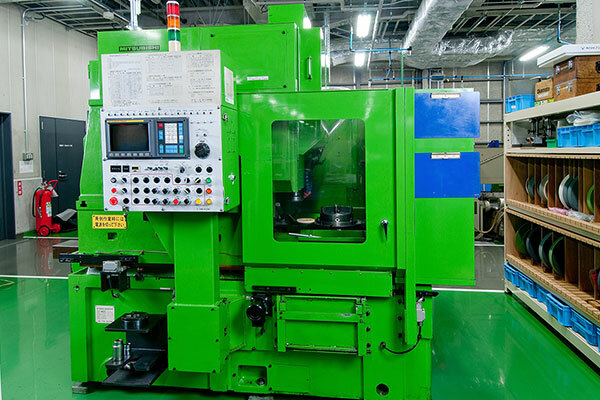 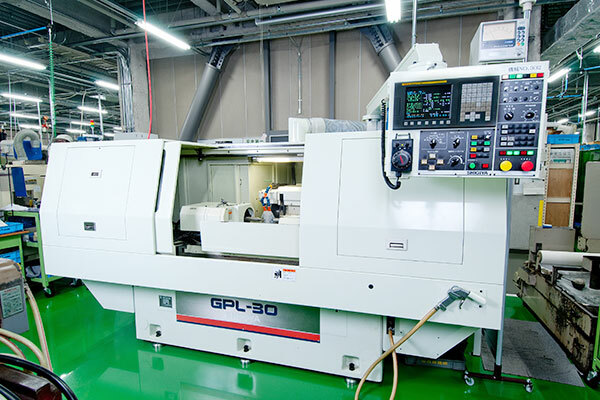 The lathe section has CNC multitasking lathes, CNC 5-axis multitasking lathe, general-purpose lathes, and other equipment. 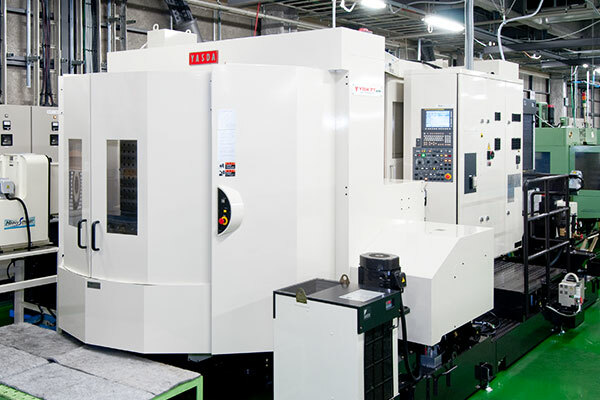 The CNC multitasking lathe has a numerical control (NC) unit mounted on various types of lathes to enable sending of commands numerically for specifying the travel distance and the feed rate of the cutting tool holder. 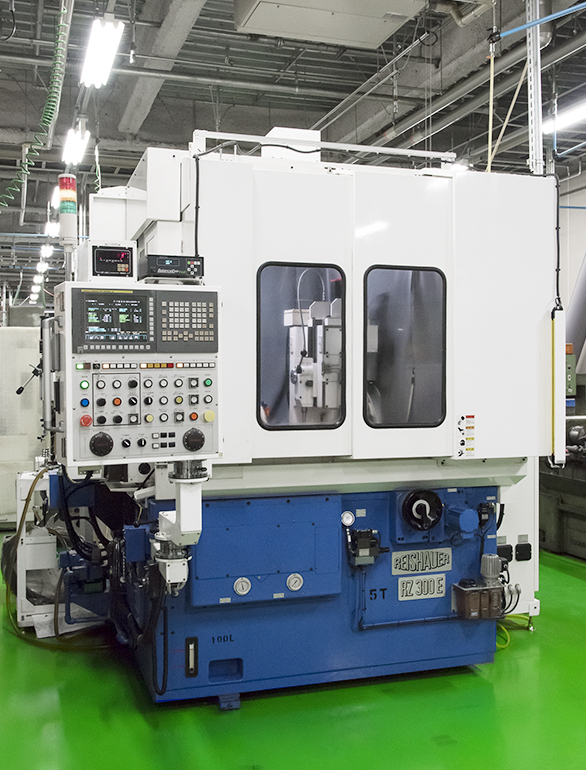 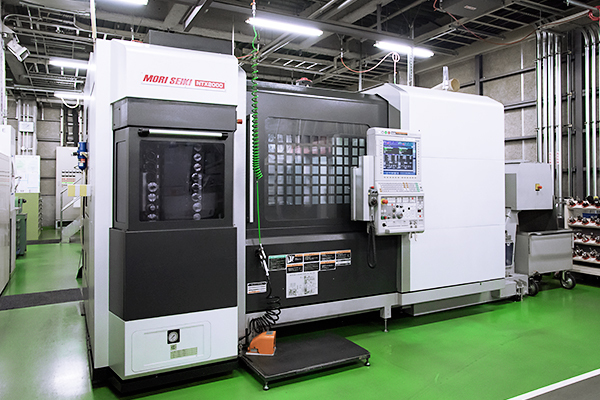 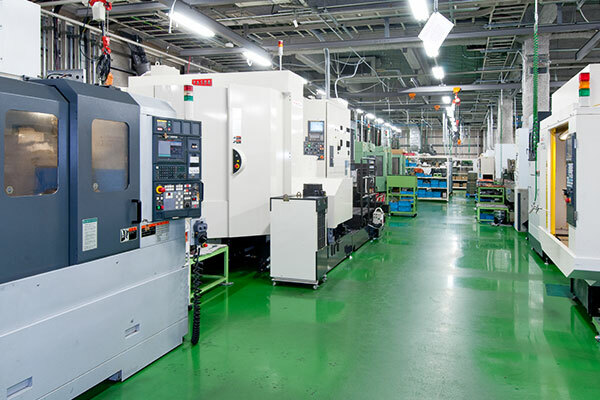 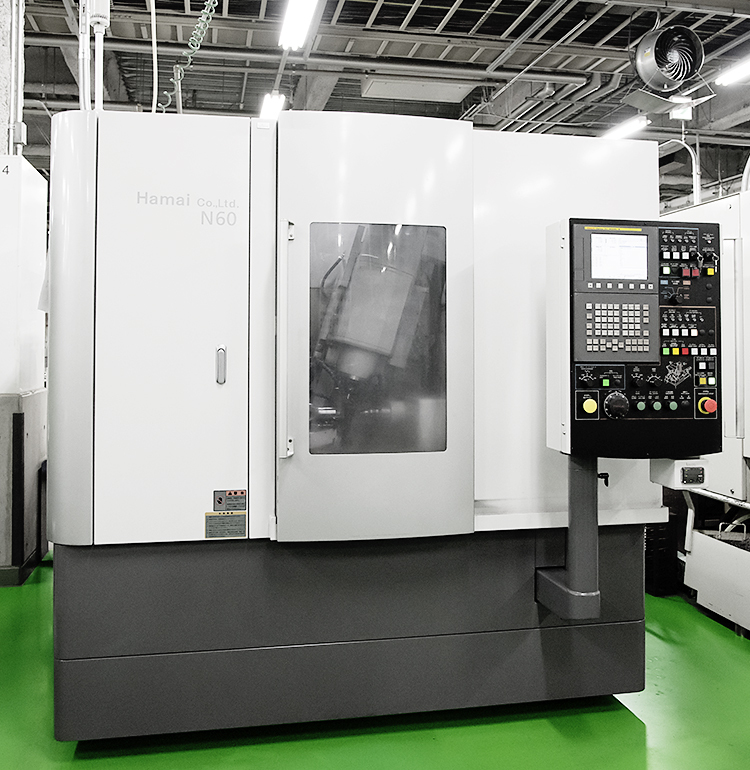 The machining section is the location of machine tools called machining centers, which perform various types of machining operations for specific purposes such as milling, boring, and tapping. 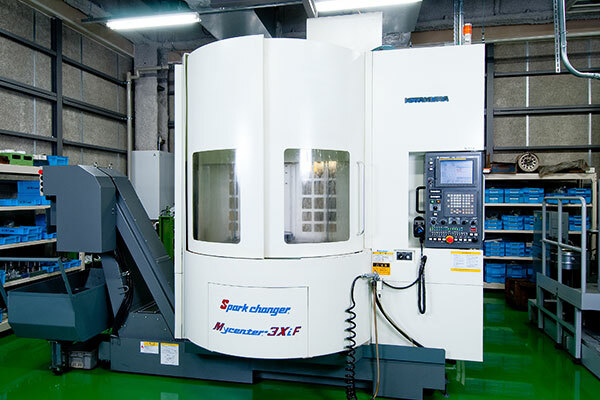 The machining section has horizontal machining centers, vertical machining centers, and other equipment. 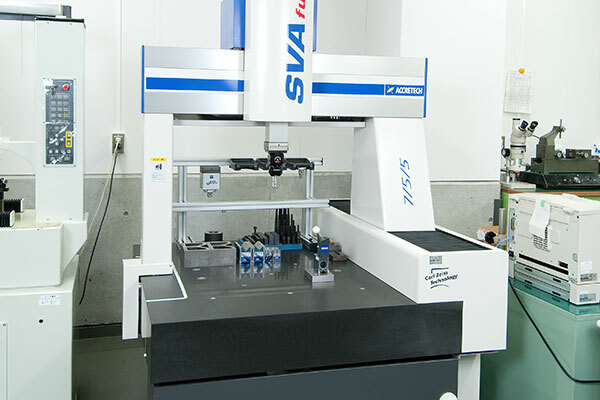 The machining center has an automatic tool change function, stores a large number of cutting tools in a tool magazine, and automatically performs machining based on computer numerical control (CNC) commands. 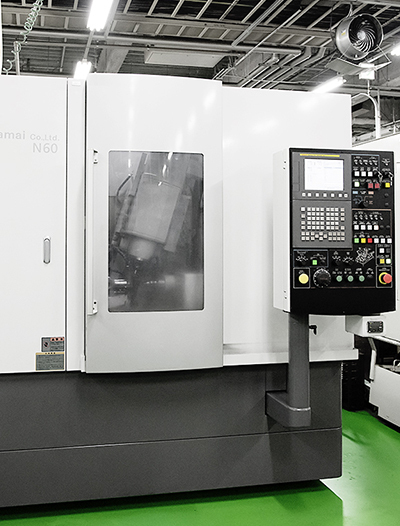 The milling section is the location of machine tools called milling machines, which perform grinding of flat surfaces, grooves, and other shapes, and machine tools called broaching machines which perform grinding inside holes and on surfaces of workpieces. 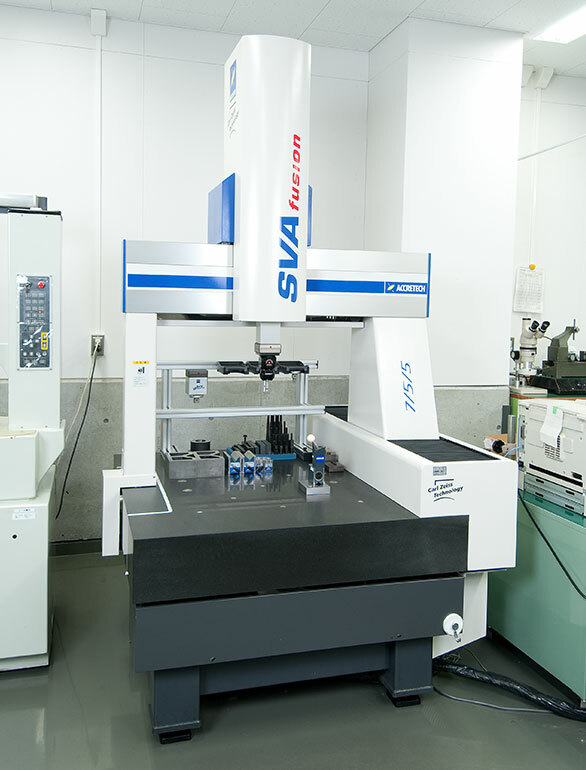 The milling section has general-purpose milling machines, broaching machines, slotters, and other equipment. 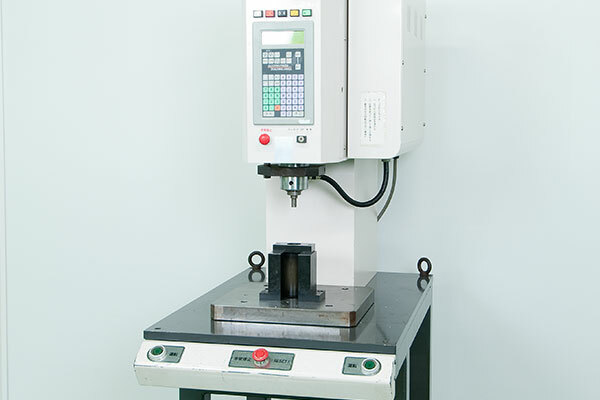 Broaching is a type of cutting process on a workpiece performed by pulling out a long toothed tool through the workpiece. 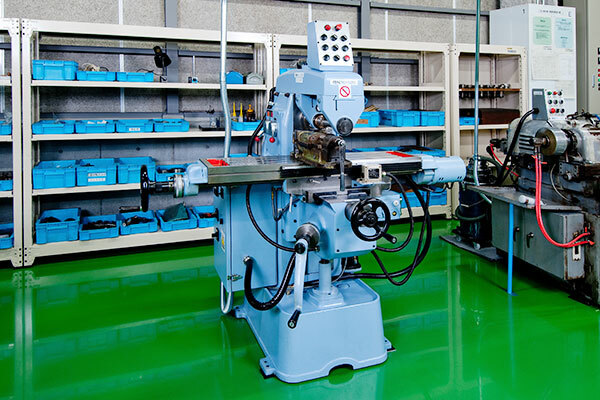 The gear section is the location of machine tools known as hobbing machines and worm gear hobbing machines, which are used to perform gear cutting for making gears. 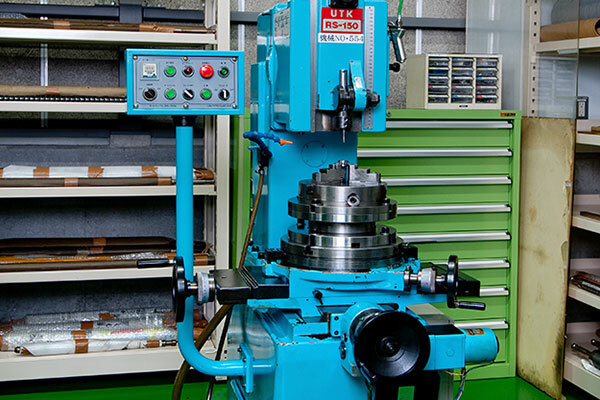 The gear section has CNC gear shapers, CNC hobbing machines, hobbing machines, CNC worm gear hobbing machines, CNC rack cutter gear shaping machines, CNC spiral bevel gear cutting machines, and other equipment. 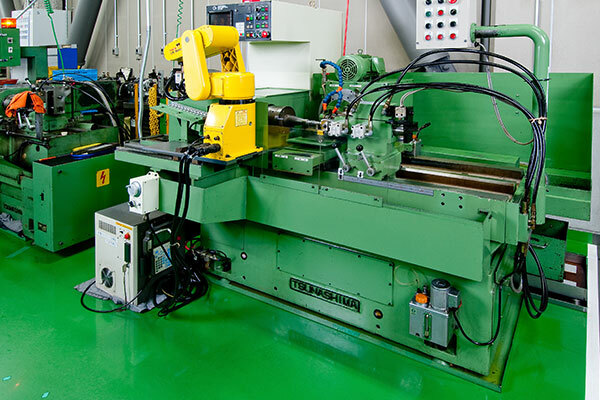 A wide array of gears including spur gears, helical gears, and worm gears are created using a gear-cutting process where a type of cutter known as a hob is mounted to a hob spindle, and a fixed rotation motion is applied to the hob and gear material. 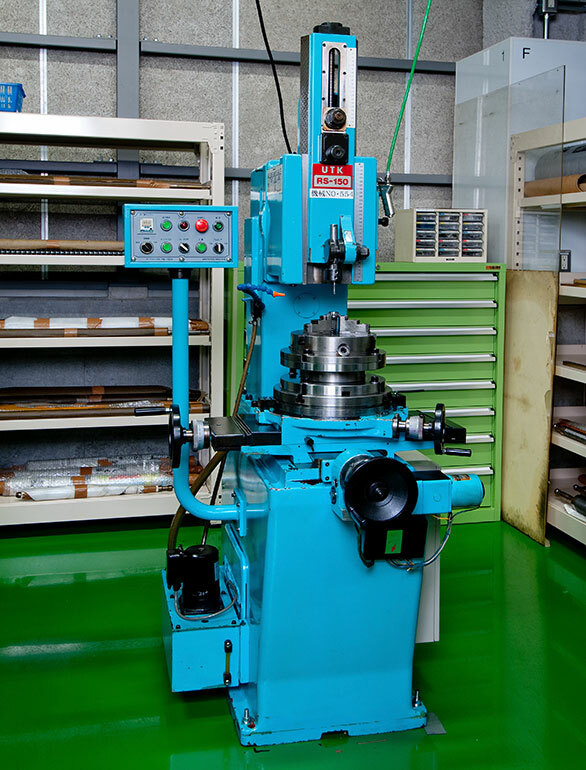 Besides hobs for gears, there are also special hobs for parts such as sprockets, splines, involutes serration, and timing pulleys. 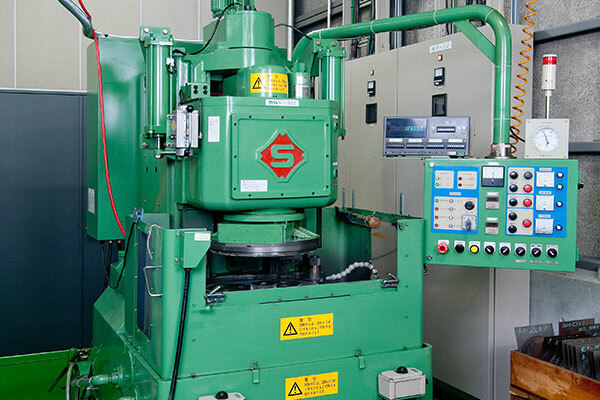 The grinding section is the location of machine tools known as grinding machines, where a fixed material (workpiece) is ground by a grindstone wheel. 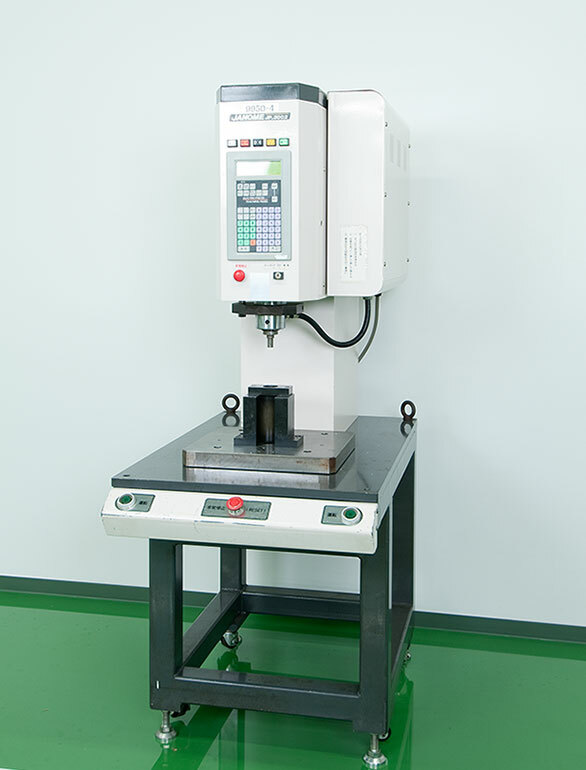 Normally, the grinding machine is used for surface finishing after rough shaping by other machine tools. 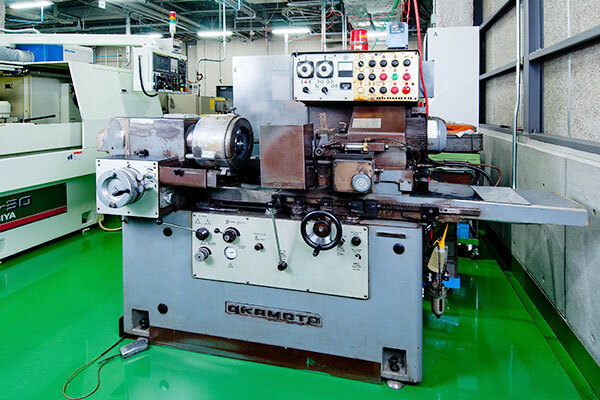 The grinding section has CNC cylindrical grinding machines, internal cylindrical grinding machines, flat, parallel honing machines, and other equipment. 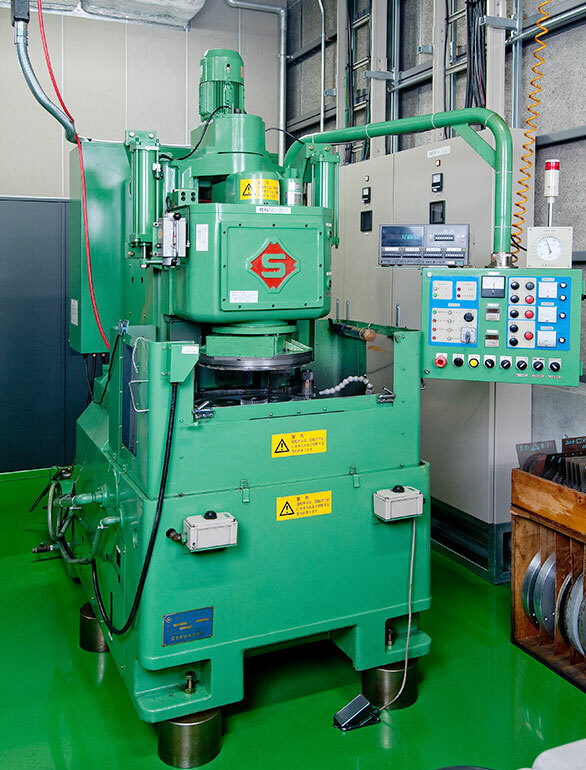 The workpiece and abrasive wheel make line contact, and the workpiece is moved relative to the abrasive wheel to form the surface. 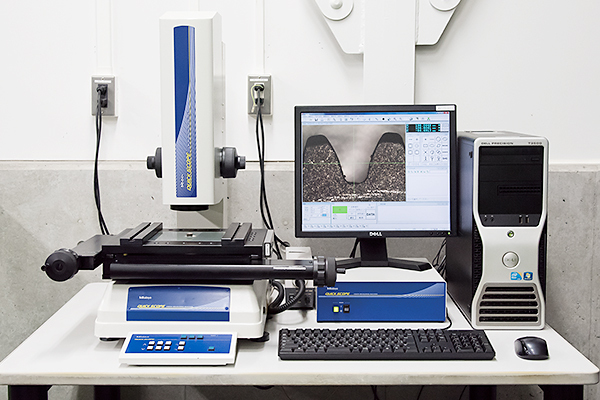 This technique polishes the surface to make it flat. 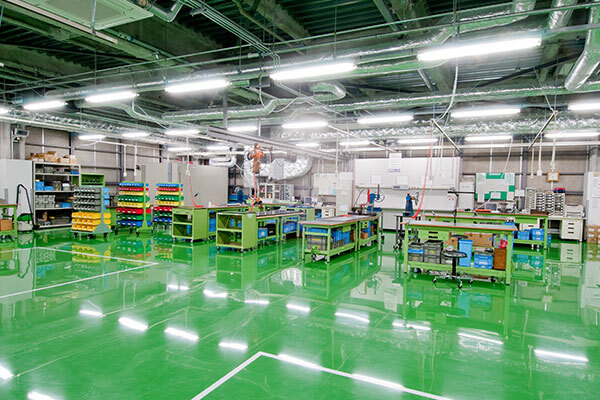 The assembly section is where products are assembled and wiring is performed. 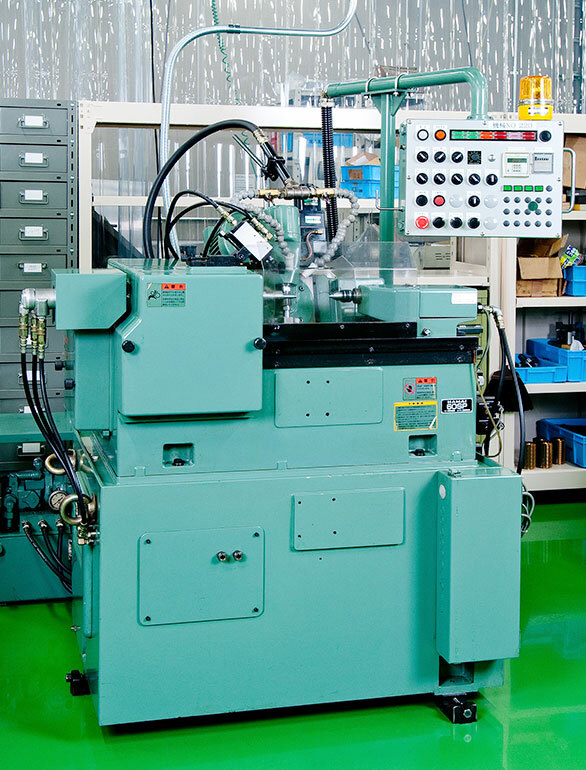 The assembly section has high-accuracy mechanical servo presses, noise measurement room, and other equipment. 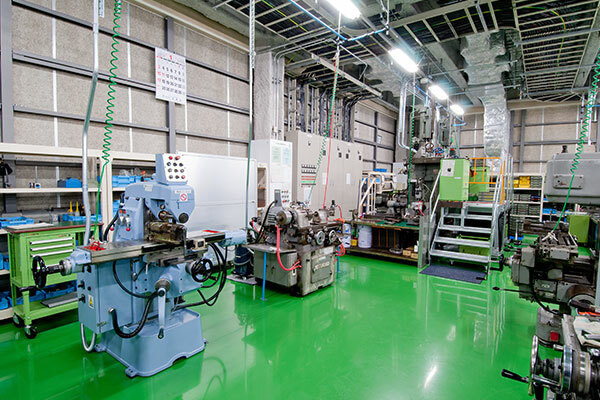 In the noise measurement room, the noise from Sakanishi Seiki planetary gear reducers is measured for ensuring product quality. 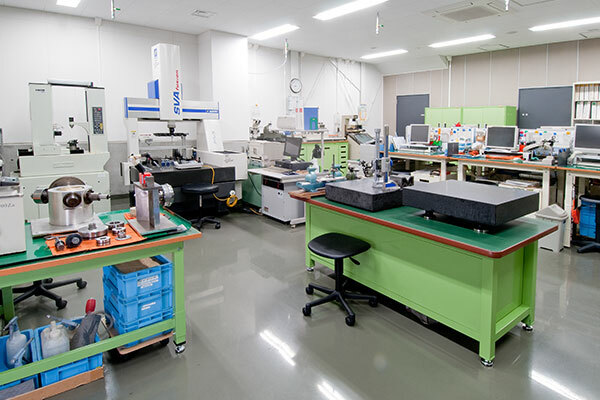 The inspection section is where completed products are tested. 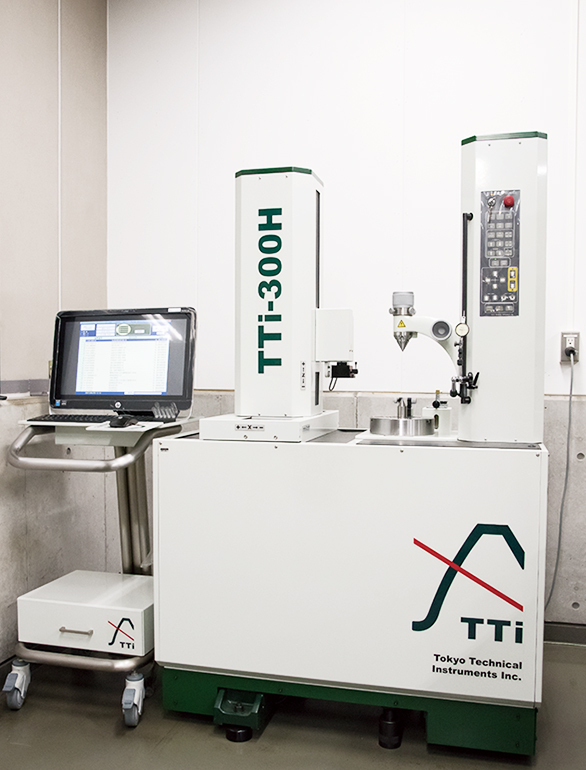 The inspection section has image measuring instrument, 3D measuring machine, gear testers, and other equipment. 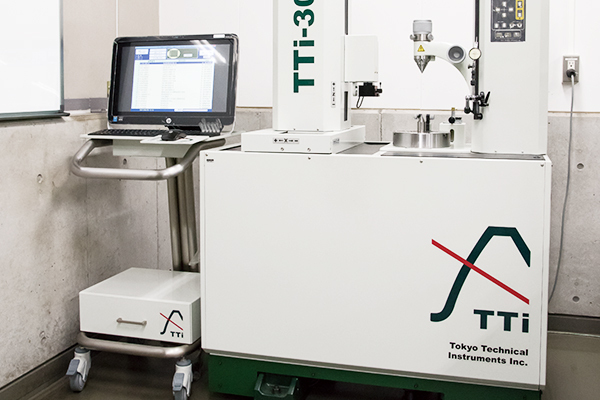 These measuring instruments can automatically measure the 3D shape and gear shape for ensuring product quality.